never be bullied by anyone,no matter the size. She folded her arms. up his hand to retaliate. off, leaving Prisca & Richard. I opened my eyes feeling slight discomfort. was awkward & a little surprising that Richard was not with me. vividly,what happened before I passed out. even muster strength to stand, I would fall. something I learnt from Richard. She hasn’t won. I smiled coyly, hiding my desire to jump out of d bed & tear off d filthy- looking wig she had on. asked She seemed surprised & confused but she composed herself. apologise for what u saw d other time. It would never happen again.” She breathed looking guilty. Again, that confused look flashed through her face. “madam” she continued with a struggle. “Agree to what?” I asked attentively. the heart goes where d heart goes. now but pls,don’t take him away from me. left d room in a hurry as if escaping. d emergence of tears but I could not hold them back as they came tumbling down. 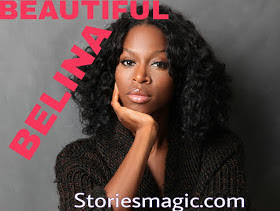 0 Response to "STORY: BEAUTIFUL BELINA (Season 2,Episode 21)"